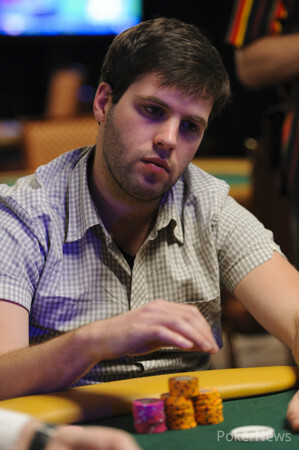 In the last match of this round, Ben Sulsky has just defeated Phil Galfond after more than two and a half hours of grueling head-up play. 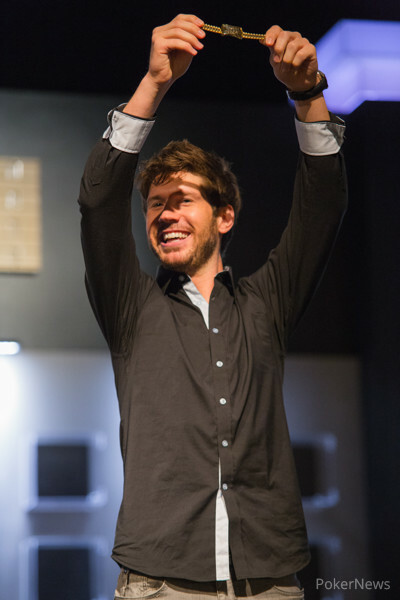 The final hand occurred when Sulsky responded to Galfond's limp with an overbet to 425,000, effectively putting Galfond all-in if he decided to call. "This is close..." Galfond said, before ultimately saying "Yep, let's go." Galfond tabled the , and he would need help to overcome Sulsky's . No such help arrived on the board, however, and Galfond was sent to the payout desk, while Sulsky will return shortly for his Elite Eight matchup against Randy Lew.